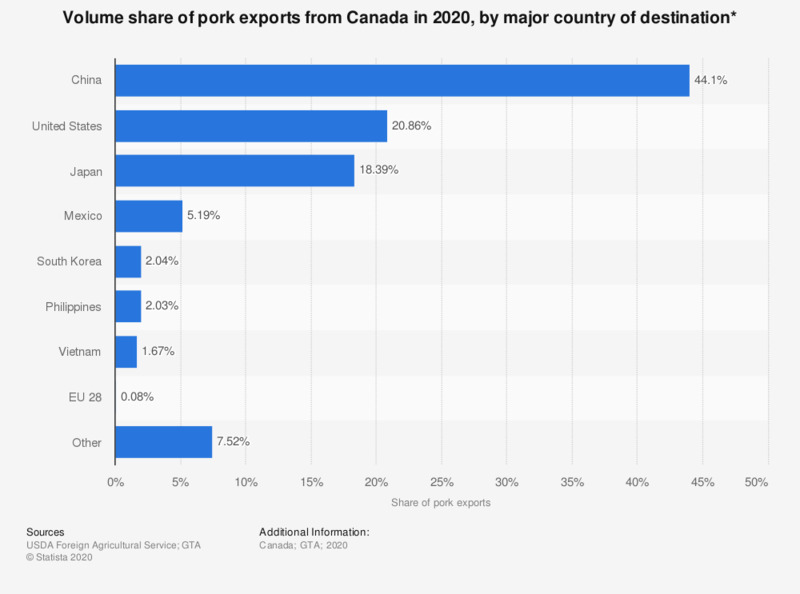 This statistic shows the volume share of pork exports from Canada in 2018, by major country of destination. In that year, the U.S. received 28.64 percent of all pork exported from Canada, whilst Taiwan received 3.79 percent of exports. * From January to June.